Home I Skin Care I Moisturizer I Do You Really Need a Skin Moisturizer? Unless you suffer from dry or flaky skin, you may be wondering if you need a moisturizer at all. The truth is that skin moisturizer is still important no matter what type of skin you have, whether oily and sensitive or dry and mature. Humectants: These draw water to the skin cells which help keep skin soft and hydrated. Humectants are best suited for dry or thick skin, as well as for people who live in very humid climates. They can also be useful for other skin types, such as oily, combination, and acne-prone skin. Emollients: This type of moisturizer helps fill in gaps between skin cells that are missing hydrating lipids. While emollients tend to be oil-based, they can also be found in water-based varieties. Emollients are an excellent option for people with very dry, dehydrated skin, as well as those with mature skin. Ceramides: Ceramides are found naturally in the skin. When depleted, the skin may become dry or dehydrated. By replenishing lost ceramides, you can better retain moisture for smoother looking skin. Ceramides are best suited for people with normal and combination skin, as well as for some people with eczema. Occlusives: Occlusive moisturizers tend to be heavy and rich, giving the skin a thick layer of moisture. Although occlusive are more commonly used on the body, they can also be useful for mature or dehydrated skin on the face. Your skin is the largest organ in the body and acts as the first line of defense against harmful pollutants. Without proper care, the skin can succumb to dryness, dehydration, and general irritation due to lifestyle choices and environmental factors. The skin contains three layers: the epidermis (outer layer), dermis (middle layer), and hypodermis (lower layer). Moisture is delivered to the skin through blood vessels which only affect the dermis. Hydration then travels through the epidermis and any excess water is evaporated. If the air is dry, evaporation can develop too quickly causing skin to flake and crack. 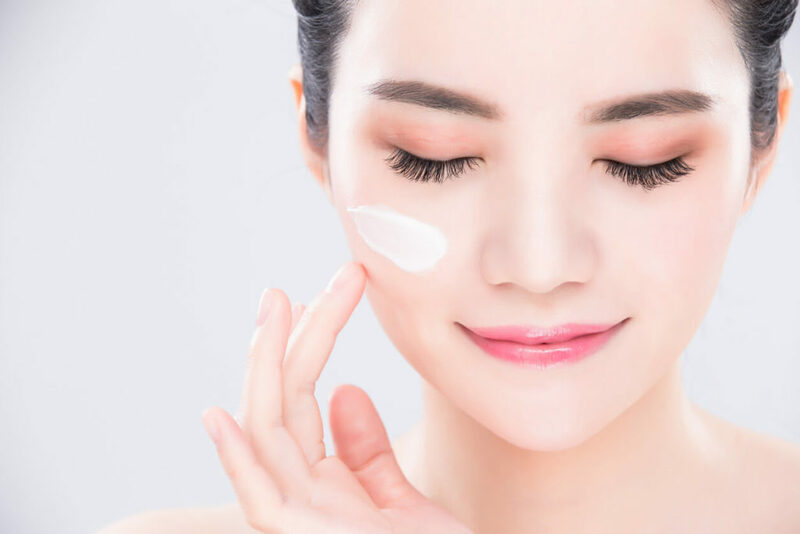 Moisturizers work in two basic ways: they restore moisture to the outer layer of skin that has been lost or traps moisture in the skin to prevent it from escaping. This non-comedogenic gel-cream is super lightweight but works exceptionally well to seal in moisture. It also contains a blend of purifying essential oils to keep skin clean and clear. Suitable for all skin types especially oily or acne-prone skin. This hydrating moisturizer is lightweight and suitable for daily use. It contains a unique formula of Azelaic and Kojic Acid, Niacinamide, Peptides, and Vitamin C which help banish dullness and brighten the skin. Suitable for normal, mature and sun damaged skin. Color and fragrance-free, the Ultra-Sensitive Moisturizer is formulated for highly-sensitive skin. It helps restore moisture as well as soothe and calm irritated skin. The Botanical Hydration Gel is a daily use protection cream containing botanical extracts and vitamins A, C, and E. It’s also formulated with purifying essential oils of tea tree and lavender that fight bacteria which often contribute to blemishes and irritated skin. It also leaves a beautiful matte finish without any sticky residue. Suitable for normal, oily and combination skin. Remember, skipping moisturizer will leave your skin dry, dull and flaky lacking in luster and radiance. Choosing the right moisturizer based on your skin type can help a ton of difference in restoring your skin’s moisture to keep it supple and youthful. To find out more about the products listed above, please visit this page.